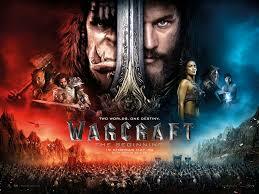 ‘WARCRAFT’ is a movie based on a video game that started in 1994 from the California-based company called Blizzard. It opened here way ahead of its U.S. release on June 10. They’re probably hoping it’ll have better box office prospects in the Asian market first. But not all video game-based movies succeed. The first one was “Super Mario Bros.” from Nintendo in 1993 and it failed to make waves at the box office. The most successful video game adaptations so far are “Resident Evil” (which became a franchise starring Mila Jovovich and had several sequels, with another one coming next year), “Lara Croft, Tomb Raider” (with two movies) and “Prince of Persia”. Others like “Wing Commander”, “Alone in the Dark”, “Final Fantasy”, “Doom”, “Blood Rayne” and “Ratchet and Clank” are big flops. The makers of “Warcraft” seem to be very confident that they will hit it big and become a long-running franchise as the first movie is called “The Beginning”. It also ends with a cliffhanger of an ending, like they’re sure there will be a sequel. The game is set in the fantasy kingdom called Azeroth. Humans are in the Eastern Kingdoms and their peaceful existence is shattered with the arrival of the Orcs who come from another world via a dark portal. We guess that if the first movie is a hit, then the other kingdoms of Draenor, Kalimdor, Northrend and Pandaria will also be introduced along with more elves, gnomes, orcs and troll characters. In this first movie, King Llayn Wryn (Dominic Cooper), along with his trusted knight Lothar (Travis Fimmel of the TV series “Vikings”) are forced to defend their kingdom from the invading Orcs led by Gul Dan (Daniel Wu), a very bad warlock. The Orcs are green giants who look like not so distant relatives of the Incredible Hulk. Also introduced are Garona (Paula Patton), a half breed human and Orc who plays a very crucial role; Medivh (Ben Foster), the powerful guardian wizard of Azeroth; Khadgar (Ben Schnetzer), an apprentice wizard who rightfully suspects Medivh is up to some mischief; and Durotan (Toby Kebbell), the principled leader of the Frost Wolf Clan whose wife is killed and their baby orc is left floating in a river. If you’ve played the game on computers, would you still care watching the movie version where you won’t be an active participant? As a high fantasy epic, it relies on elaborate visual effects using textured layers of animation, 3D modeling and motion picture. If you are not that familiar with the game’s own mythology, sitting through it might be an ordeal after sitting through other similar costume epic franchises like “Lord of the Rings” and “The Hobbit”. Honestly, the movie failed to make a connection with us as it lacks dramatic momentum. Its director, Duncan Jones, previously made a futuristic sci-fi flick we enjoyed, “Source Code”, which had characters we viewers could care for. This time, he seems to have gotten lost and confused in doing a movie with so many characters and subplots that are drowned out by the special effects. “Jungle Book” is entirely CGI but it comes off as something we can very much relate with. Here, the Orc characters that lack expressive character designs remind us all the time that this sword and sorcery action extravaganza was shot on green screens and the Orcs are mere digital creations. There’s a lot of running and screaming and fighting but you cannot feel any urgency and we don’t get any sense of fun as it’s not really that entertaining. Even the CGI used in portraying the Orc forests, Medivh’s lair or the king’s castle don’t look that convincing and satisfying. You know you’re being transported into a different world and a different era but everything is just so artificial, even the fangs of the half-breed Garona that seem like the kind you can easily buy in a novelty store. The only CGI creation that impressed us is the big bird called gryphon Lothar rides on and figures in spectacular flying scenes.